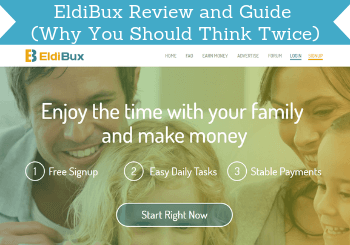 EldiBux claims it is a great site to earn money online so you can have more time with your family. But is EldiBux a scam or is it really a great opportunity? I have joined and tested the site myself and compared it with other similar sites. In this ElduBix review, I will show you all the details so you can see what you really get before joining. As you can see from the title of this review, I do not think it is a site for everyone and that you should think twice before joining. But it might be the right option for you – you will easily be able to find out after reading all the details below. What is EldiBux and what does the site offer? EldiBux is, first of all, a PTC site, which means you can earn by clicking ads on the site. It has existed since 2015 and according to the site itself, it has paid out more than $140,000 to its members and has around 100,000 members. So from this, it is possible to see that it definitely is not one of the biggest sites like this. This does, of course, not mean it cannot be worth it. But let me reveal right away that after testing it, I fully understand why it has not grown bigger and has not paid out more compared to similar sites. But more about that later – for now, let’s focus on what opportunities EldiBux offers so you can see if it is a site for you or not. As mentioned, EldiBux is, first of all, a PTC site so one of the ways to earn is to click small ads. If you have visited PaidFromSurveys.com before, you will know that I, in general, do not really like PTC options as they usually pay very low rewards. That is also the case on EldiBux. The ads you click give very low rewards. As you can see in the image above, you usually get around $0.001 per ad you click. And there are even ads that pay less than this. It will take A LOT of clicks to earn any real money. Usually, on sites that offer PTC it is, however, very easy and intuitive to use, so it does not take long to do. On some of the GPT (get-paid-to) sites that offer this option, I am therefore once in a while clicking a few ads. On EldiBux the user experience was, however, in my opinion, very poor. You cannot see a counter that shows how long you need to watch the ad and there are extra pop-up ads all over the screen that makes it difficult to see the captcha you need to do to get paid. It is actually very frustrating and what on some other sites is very fast and easy becomes a big hassle on EldiBux. I understand that ads are, of course, a big part of how they make money on the site. But the amount of pop-up ads on EldiBux is in general almost ridiculous. Ads cover almost everything and at times they even pop-up when you do not even expect it after clicking a tab in the menu. This makes the usability very poor, in my opinion. Anyways, you can earn a bit of money by clicking ads on EldiBux, but it will take some patience – also more patience than on many other similar sites. On EldiBux you can also find two sections with paid offers, which means you can take certain offers and earn rewards by doing this. It can, for example, be to sign up for free trials, sign up for contests, download apps and more. The main place you can find these offers is in the offer wall section. You can find several offer walls on EldiBux. It gives access to quite a few offer walls. These offers can sometimes be a great way to boost your earnings. But many of the exact same offer walls are available on other sites as well. Personally, I prefer using the offer walls on sites that have overall better opportunities and that are easier to use. A site like ClixSense, for example, gives access to many of the same offer walls. 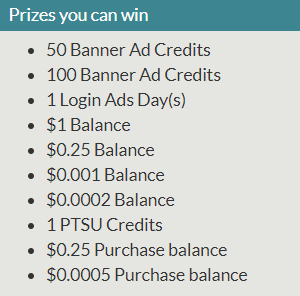 So does the GPT site PrizeRebel which is very user-friendly. That other sites are more user-friendly is not the only reason I prefer taking offers there. When looking at what people earn on the offer walls on EldiBux, it is NOT impressive. There is a top 10 list of the top earners on the EldiBux offer walls every month. Below you can see a screenshot of the top 10 earners on the 22nd of the month. Example of the top earners on the EldiBux offer walls – NOT impressive. As you can see, after 22 days, the leader has earned $0.75 – this is extremely low compared to what you can earn on offer walls on other sites. There is, however, one more section on EldiBux where you can find offers. This is the section called “Paid to sign up”. Also, this option is, in my opinion, not great. It is basically just ads where people pay you to sign up through their referral link and get you as a referral. Usually, you have to do several things like taking several surveys, doing certain tasks, plus sending an email with proof to the person that created the ad. The highest paying of these “Paid to sign up” offers I have seen offer $0.50, so there is often quite a lot of work involved in getting your earnings. 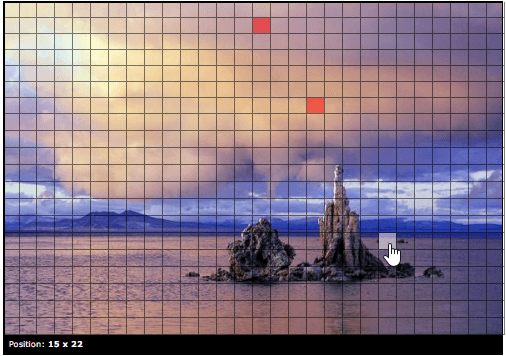 The ClixGrid option on EldiBux is kind of a lottery. You get a picture, and then you can click anywhere on that picture. The ClixGrid is kind of a lottery. When you click, a new window with a site from an advertiser will show up. You have to watch this for 10 seconds, and then you will right away be told if you have won or not. You can win up to $0.00002 per click and as a standard member (more about the membership types later) you can click 25 times per day. Even if you win every single time, you can maximum earn $0.0005 per day. Really not worth the effort, in my opinion. There is a miner on EldiBux called Monero Miner. This is an option where you can put your computer to work and convert your unused CPU power into money. 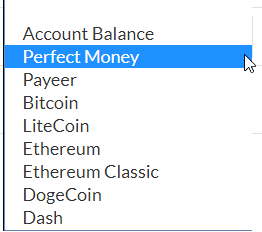 By clicking start you will collect Hashes, Hashes can be converted to real money by clicking “Withdraw hashes”. Again, this will take A LOT of time to earn any real money. You, of course, do not have to do much, but you are using your computer power and it will slow down your computer if you want to use it for something else at the same time. If you like a mining option like this, I would instead suggest you to check out Cointiply, as it has one that works better in my experience, and the site, in general, has better earning opportunities. Flip the Coin is a small game on EldiBix where you can bet your earnings. You select your risk, pick a side of the coin, and click “start”. You can bet up to $50 in the Flip the Coin game. If you win, you get double. If you lose, you lose the money you risked. The maximum amount you can risk is $50. It is, in my opinion, a very risky way to bet. Of course, you can get lucky, but it is quite a gamble. Especially when you look at how hard you have to work to earn on EldiBux. EldiBux also has a game called the bonus game. Like all the other games and options on EldiBux, this is meant to get you to watch ads from advertisers so EldiBux can earn. In return, you get the chance to win prizes. Below you can see the rewards you get a chance to win. The possible prizes in the bonus game. You just have to click a “start” button and then an ad will pop up and you will right away be told if you have won or not. Honestly, another option on EldiBux I am not going to spend more time on. The way EldiBux is created clearly encourages you to get other people to join. Your own earning opportunities are quite limited as you can see. But by inviting others, you can earn commissions. However, before doing this, you need to be aware of how it works. You will still earn very low commissions and your referrals have to be VERY active for you to earn any real money. The commission you will earn depends on your membership level. Also, the amount of referrals you can have depends on your membership level. Be aware that if you get referrals that are not active, they will at some point be deleted due to inactivity. EldiBux charges $0.10 to delete a referral. I have never seen a site that charges you to delete inactive referrals and it makes it quite risky. If you do not want to invite people to join, you can also buy or rent referrals. You do, however, not have any guarantee that the referrals you buy or rent will actually become active, so it is a bit of a bet. Overall, the referrals option on EldiBux is something you should only use if you really know what you are doing – and you would need to be willing to invest in a paid membership to get any chance of really earning, as I will explain next. EldiBux has different membership levels. The higher membership level you get, they more advantages you will get. However, you have to be aware that you have to pay to get a higher membership level. The EldiBux membership levels and prices. The membership level will among other things affect the number of referrals you can have, the commissions you will earn, and EldiGrid chances per day. Let’s just do a small calculation to see what you need to consider before investing in a membership. The cheapest membership you can get is $20 per month. This will allow you to have 200 referrals. Let’s just assume that you are able to get 200 referrals (which is NOT easy). Then each of your referrals would have to earn you $0.1 to just cover your investment. 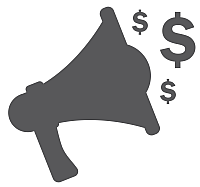 You will get a $0.003 commission for the standard ads they click. That means that each of your referrals has to click around 33 standard ads just to cover your costs. It might not sound like a lot, but I can tell you it is and it will NOT be easy to achieve. This is why I am saying that if you are going to get a paid membership you really need to know what you are doing and be aware of the risks and exactly what you need to make back your money. Also, be aware that you will only earn from your referrals if you have clicked 4 ads the day before yourself. So let’s say you have a couple of days you will not be able to click ads or if you forget – then the following day you will not earn anything. In my opinion, the paid memberships mostly look like a good deal for EldiBux and not for the regular member. Let’s say you decide to give Eldibux a try – then you, of course, need to know how you can get your earnings out. I could actually not find any info on the site about the payout methods it offers, which is a bit strange. In the withdraw section you can only see this once you reach the payout threshold and I am not going to spend all that time getting to that. However, I was able to see how you can pay for a membership, and I am assuming that it will approximately be the same payout methods EldiBux offers. The assumed payout methods on EldiBux. These methods are Perfect money, Payeer, BtCoin, LiteCoin, Ethereum, DogeCoin, Dash. Except for the few known cryptocurrencies, it does not offer some very well-known methods. This makes it a bit of a hassle, in my opinion. Personally, I prefer sites that pay through PayPal, as it is such an easy way and it is a great way to get your earning into your own bank account or being able to use them online. Some of the other methods can, of course, also be great depending on your preferences. You just need to be aware of the options, so you do not spend a lot of time earning only to find out you cannot get your money out in a way you like. The payout threshold on EldiBix is only $0.50 which is very low. But with the very low rewards you get for activities on the platform, it can still take quite a lot of patience to get there. It is possible to earn on EldiBux but it is NOT a site where it is easy to earn. On the website of EldiBux, you can see it in big letters says “Enjoy the time with your family and make money”. I do not think this accurately describes what you can expect. Yes, you can make a little extra cash, but compared to for example the top paying survey sites, it will take a lot of time and effort to earn. That is why it is simply just not a site I am going to spend any more time on myself. But what is most important before you decide what is right for you is that you know exactly what you are getting into and what it will take to earn there. 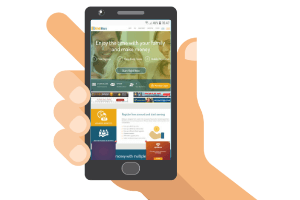 Being able to earn on your mobile makes it easy to do when it fits into your schedule. You can use EldiBux on mobile. You just have to open the website in your browser and log in. It does not have an app and the website is not very well optimized for mobile devices, so it does, however, not give a very good experience. Because of all the pop-up ads and ads covering the content at times, it makes it even more difficult to use on smaller screens. But in theory, you can use it on mobile. It will just take some more patience. EldiBux is open to all countries. Most of the earning opportunities there are also available worldwide. The offers on the offer walls will vary from country to country, but most of the other options are the same no matter where you live. However, there are so many great sites to earn some extra cash in most countries, so you should consider spending time on the top sites in your country instead, as they, in my opinion, will give a lot better opportunities. If you decide to join and should need support, it is possible to submit a support ticket to EldiBux. You find this option all the way in the footer of the website where you can find a link to the support site. There is also a forum where a lot of the most frequently asked questions are answered. There are also separate forums in different languages so there is a good chance you can find some info in your own language even if English is not your mother tongue. EldiBux is a legit site as you can actually earn and get paid on the site. BUT this does not mean it will be worth it. In my opinion, it will probably NOT be worth it. But let’s finish by summing up the pros and cons of the site, so you can get a better overview before deciding if it is for you or not. Overall, I think the user experience on EldiBux is very poor. In addition to this, the rewards are very low and you would have to put in A LOT of time to earn just a little money, and the paid memberships seem to just be a great deal for EldiBux and not for the users. It is NOT a site I recommend. If you would like to earn some extra money online by doing small online tasks, I would instead encourage you to check out the best GPT sites. These sites give higher rewards, are easier to use, and give more earning opportunities, and pay out in easy ways. Definitely a better use of time than EldiBux, in my opinion. If you have any comments, questions, or have any experiences with EldiBux yourself, I would love to hear from you in a comment below. It is possible to earn a bit of extra money on EldiBux so it is not a scam. It does, however, give very low rewards, the usability is very low, and you have to buy an expensive membership to have real chances of earning (and then it is still difficult). Therefore, it is NOT a site I recommend as there, in my opinion, are so many better sites that offer small online tasks to earn extra cash.